Bill Wyatt is a partner in the Finance and Bankruptcy and Corporate Practice Groups in the firm's Palo Alto and San Francisco offices. He is also a member of the Asset-Based Lending Team. 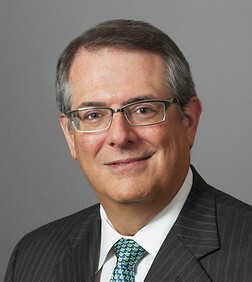 Mr. Wyatt started as an associate at Sheppard, Mullin, Richter & Hampton in 1982 and became a partner in January 1990. He specializes in commercial law, real and personal property secured loan transactions, workouts and bankruptcy. Mr. Wyatt has significant experience handling a broad range of financing transactions, including secured and unsecured credit facilities, bond and note financings, public finance transactions, letters of credit and other credit enhancements, derivative products, real property secured transactions, asset-based accounts, inventory and equipment financing transactions, equipment leasing transactions (including aircraft and rail) and project finance transactions. He has been involved in negotiating and documenting lines of credit secured by accounts, inventory, equipment and real estate, construction loans, and credit enhancements for tax-exempt bond and certificate of participation transactions. He also has experience with aircraft leasing and lending, ship financing, rail car and other types of equipment financing transactions, and has negotiated and documented both leveraged and non-leveraged leases of aircraft and rail equipment and manufacturing and medical facilities. Mr. Wyatt also regularly advises clients on swap and other derivatives transactions and related issues. While his practice is focused primarily on transaction planning and documentation, he has substantial experience with loan workouts and the bankruptcy aspects of financial transactions. He has represented both institutional lenders, lessors and borrowers. Represented domestic commercial bank in loan to aircraft lessor.